We’ve all heard that a father’s involvement enriches the lives of children. But how much have we heard about how having a child affects a father’s life? As Peter Gray and Kermyt Anderson reveal, fatherhood actually alters a man’s sexuality, rewires his brain, and changes his hormonal profile. His very health may suffer—in the short run—and improve in the long. These are just a few aspects of the scientific side of fatherhood explored in this book, which deciphers the findings of myriad studies and makes them accessible to the interested general reader. 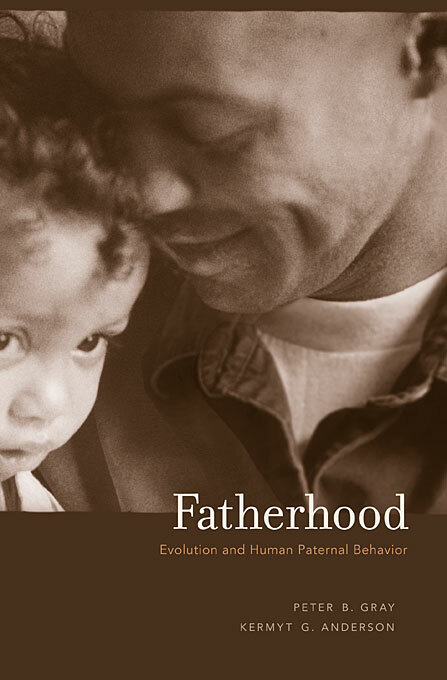 Since the mid-1990s Anderson and Gray, themselves fathers of young children, have been studying paternal behavior in places as diverse as Boston, Albuquerque, Cape Town, Kenya, and Jamaica. Their work combines the insights of evolutionary and comparative biology, cross-cultural analysis, and neural physiology to deepen and expand our understanding of fatherhood—from the intense involvement in childcare seen in male hunter-gatherers, to the prodigality of a Genghis Khan leaving millions of descendants, to the anonymous sperm donor in a fertility clinic. Looking at every kind of fatherhood—being a father in and out of marriage, fathering from a distance, stepfathering, and parenting by gay males—this book presents a uniquely detailed picture of how being a parent fits with men’s broader social and work lives, how fatherhood evolved, and how it differs across cultures and through time.